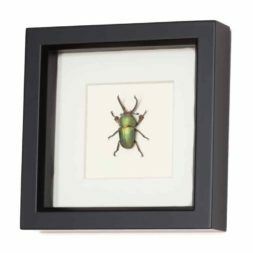 This beetle has a very unfortunate scientific name – Dorcus titanus. 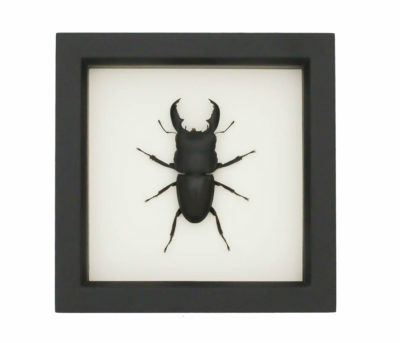 Also called a Giant Stag Beetle this species is really popular pet in Asia sold in many pet stores. 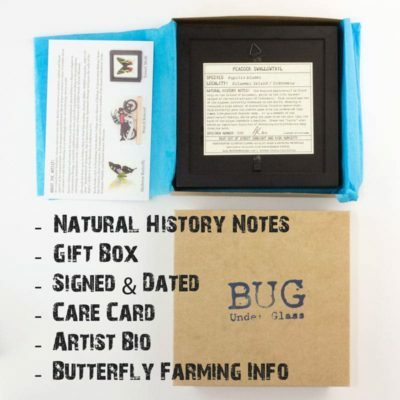 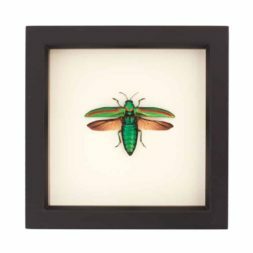 ► Gift box with info about sustainable beetle origin and care of display. 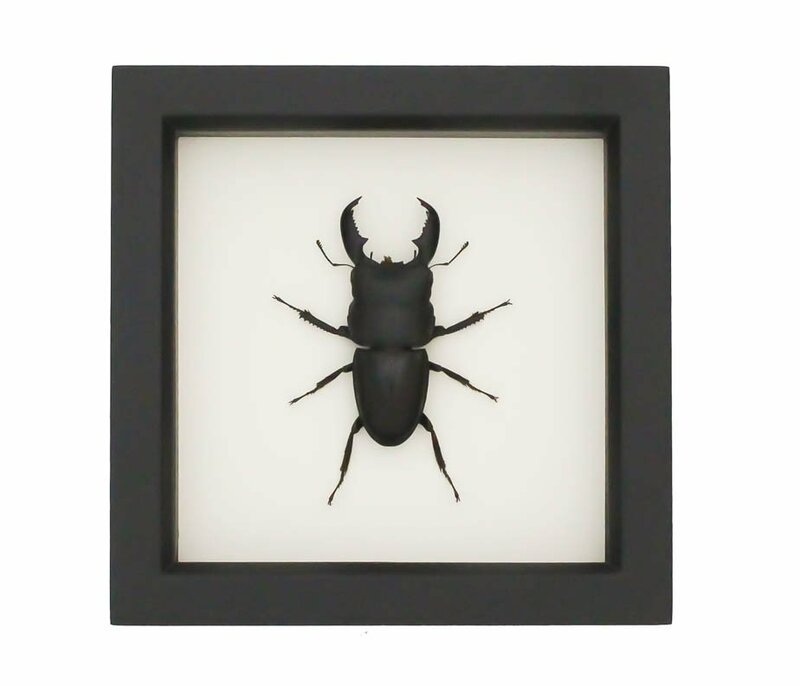 The males of the Lucanidae family have very long mandibles that resemble the antlers of a stag. 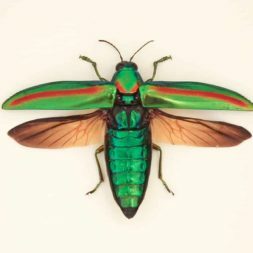 One of the most stunning jewel beetles mounted with its wings open.